Solar Star Power Ltd supply and install over thirty different types and make of solar panels to suit your property. We are local installers to Staffordshire, Derbyshire, Cheshire and Shropshire and all of our systems are installed to MCS standards. We use only European inverters and fitting kits and all work is undertaken to the highest standards. Please do not hesitate to contact us for free survey and quotation. Churchill close this property as 4 canadian solar panels installed on the south east facing roof and 14 panels on the south west facing roof. a solar edge inverter and optimizers were used to help eliminate shading issues from the various angles encountered and the annual production is in excess of 3,400 kwh per annum. if you have an awkward roof layout or simply wish to get the best productivity we will be pleased to provide a free quotation. Barn installation the owner of this barn near alton towers as 6 kw of renesolar black panels installed. 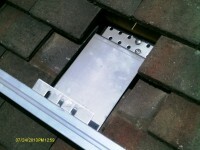 Roof fixings we use the k2 type of bracket for fixing panels to staffordshire blue and rosemary tiled roofs. the yacht grade stainless steel bracket replaces one tile. Bungalow installation this is a sixteen panel installation using solar world ag black panels manufactured in germany. Black monocrystalline panels the most popular solar panels is now the all black monocrystalline panel. we fitted 16 canadian solar 250w black / black panels to this property in uttoxeter. 16 panel installation this 16 panel black panel system blends into the darl tile roof. The solar system was installed with little disturbance and is operating according to the specification. The company did everything they said they would and all on time. Nice people to deal with from start to finish. I would recommend Solar Star Power Ltd to anyone considering solar power. Solar Star Power Ltd are MCS accredited engineers who supply and install Solar PV. For similar installers in this area please visit the Uttoxeter solar page. "The solar system was installed with little disturbance and is operating according to the specification. The company did everything they said they would and all on time. Nice people to deal with from start to finish. 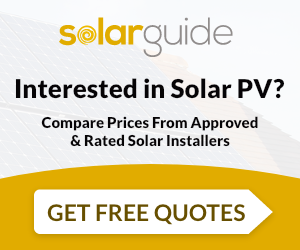 I would recommend Solar Star Power Ltd to anyone considering solar power."